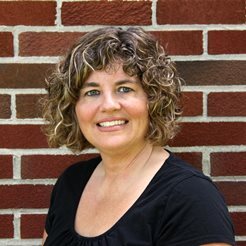 When I know I’m having a group of kids over, I almost almost make popsicles with Jell-O. The reasons are twofold: For one, they are so cute, and I can easily mix up colors and flavors. 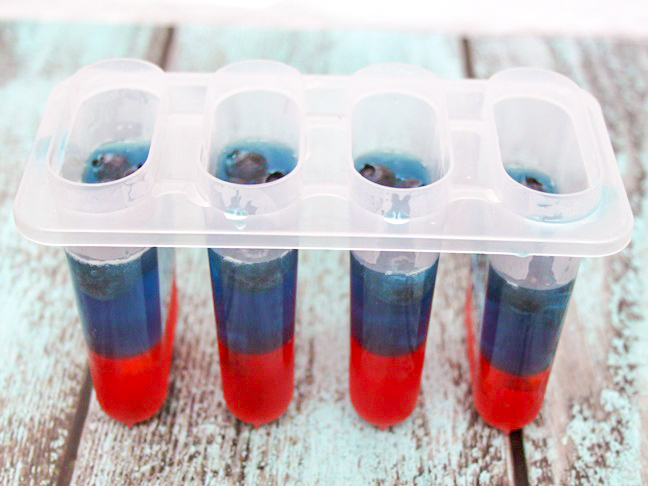 Additionally, and most importantly, when Jell-O popsicles start thawing, they don’t instantly become drippy liquids like normal popsicles do. 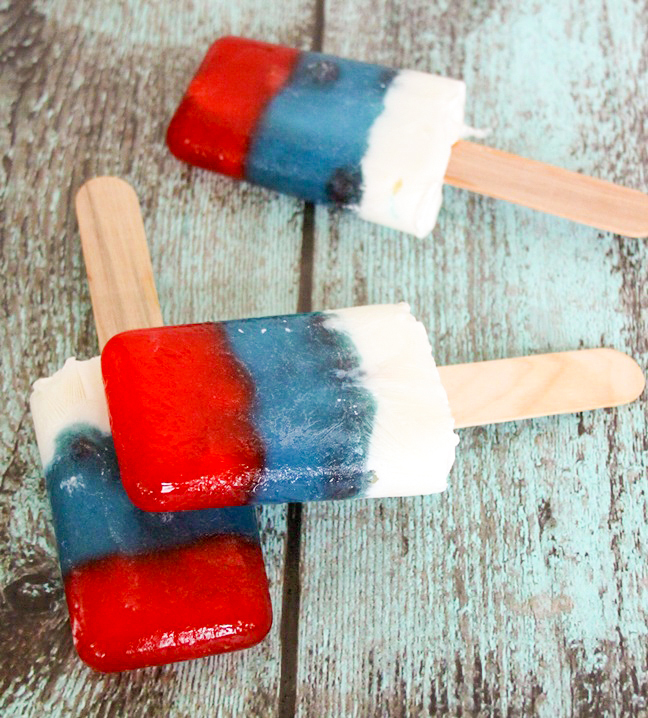 I make these a few days ahead of the Fourth of July and let my kids go nuts post-dinner while they wait for the fireworks to start. Step 1: Mix up the strawberry Jell-O. Add 1 cup hot water and the Jell-O mix and stir for 2 minutes until the gelatin is completely dissolved. Add in a cup of cold water and stir. Step 2: Fill each popsicle mold 1/3 of the way full with the strawberry Jell-O. 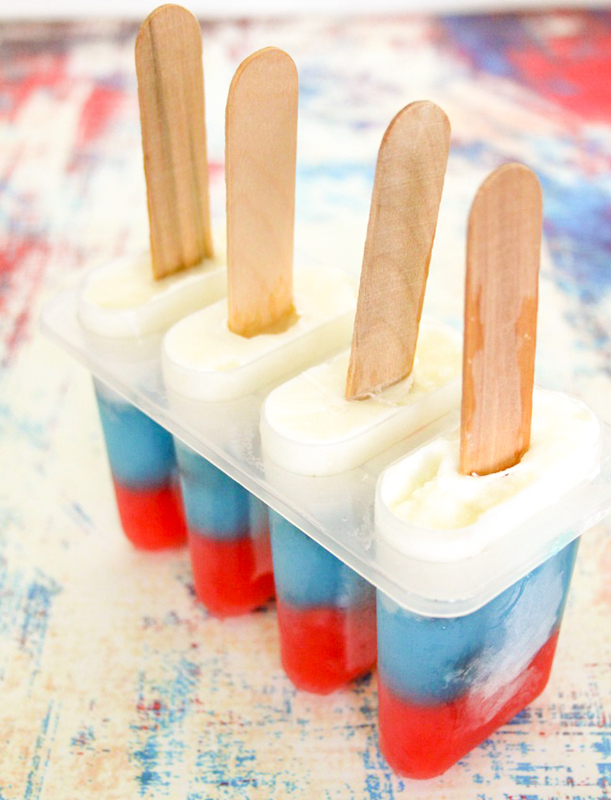 If you don’t have popsicle molds you could also use small disposable plastic cups to make your popsicles. 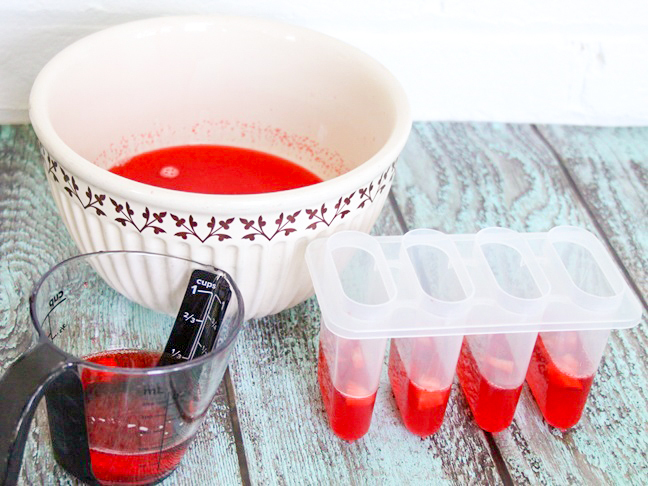 You can add in small pieces of strawberries to the Jell-O before you chill it. Step 3: Refrigerate the strawberry Jell-O in the popsicle molds for about an hour. Step 4: Repeat the process and make the blueberry Jell-O. Add it to the popsicle molds to make a second layer, and fill to about 2/3. You can add fresh blueberries to the mixture. Step 5: Chill the popsicles for about an hour in the refrigerator. Step 6: Add the vanilla yogurt to the top, and lay a piece of plastic over the top. 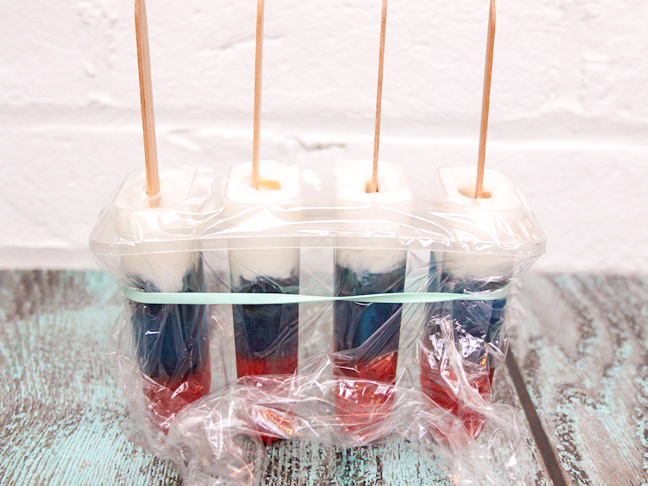 Step 7: Add a wooden popsicle stick, or if you have ice pop molds that already have a stick and a top you can add those instead of the plastic wrap and wooden sticks. Step 8: Place the popsicles in the freezer and freeze for a couple hours until set. Step 9: Remove the plastic from the top of the popsicle containers when you're ready to serve. 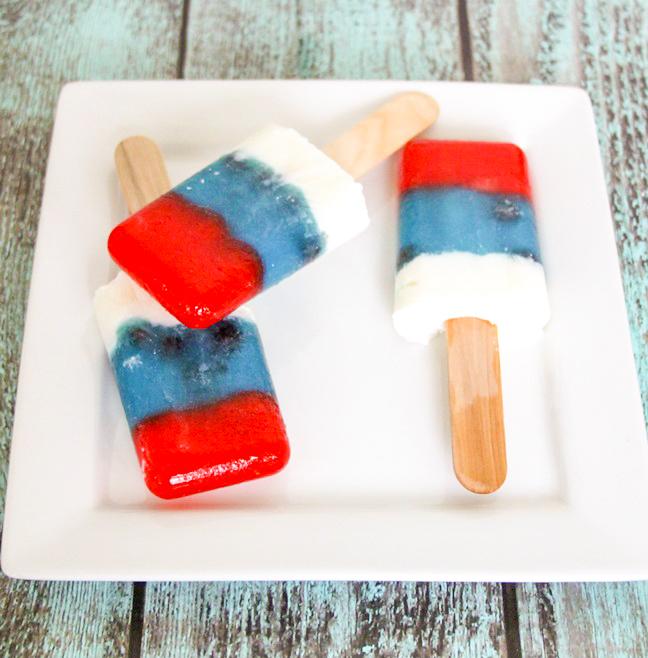 Step 10: Remove the popsicles from the mold by running them under warm water for about a minute.